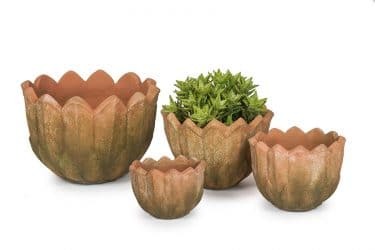 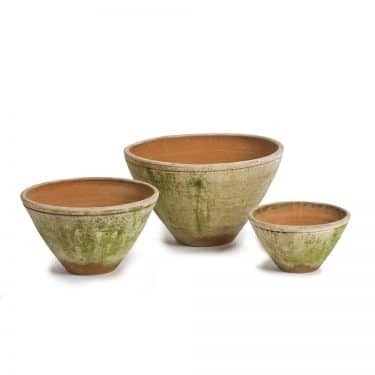 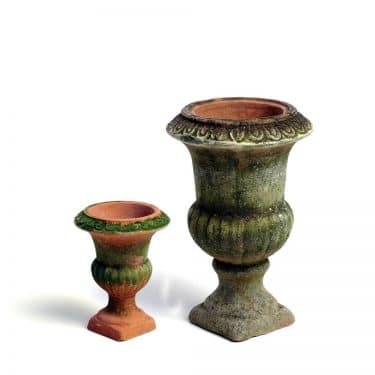 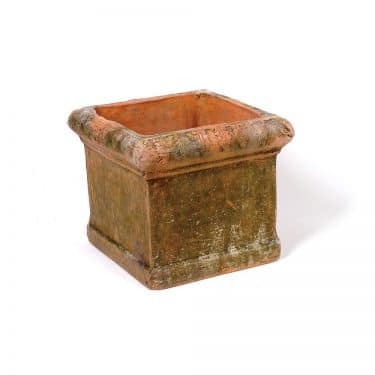 AGED PASTILLE PLANTER | Campo de' Fiori | Naturally mossed terra cotta planters, carved stone, forged iron, cast bronze, distinctive lighting, zinc and more for your home and garden. 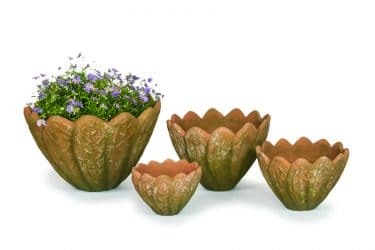 We revere simplicity and the Pastille planters are elegant examples of just that. 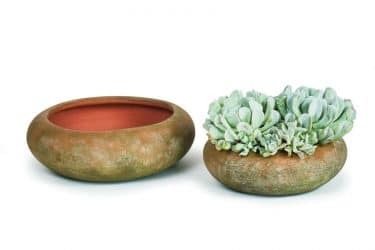 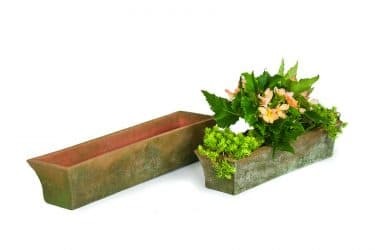 Low lying and perfect as centerpieces, these planters will be welcome additions to many a fete and also look lovely when perched atop stone walls, tables, and plant stands. 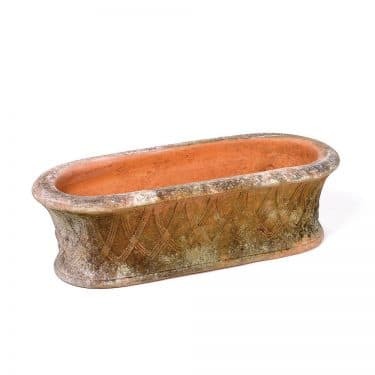 13.5" D 4.5" H Fits metal saucer #6, or terra cotta saucer #6. 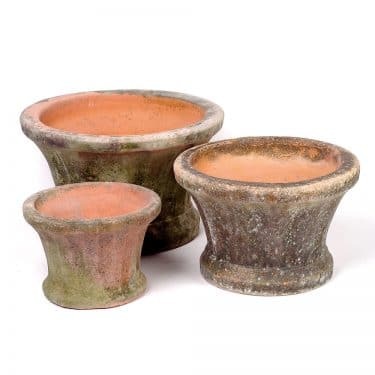 11" D 3.75" H Fits metal saucer #5, or terra cotta saucer #5.